With the new GEWO shirt Leon, you won't break a sweat even in high-speed rallies. Made from soft Honey Comb and Dimple DryFit, this polo shirt provides for ultimate wear comfort. 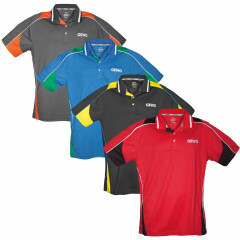 The breathable and soft material guarantees optimum moisture wicking. Gewo Shirt Leon is beeing added to cart.